Can you guess what it is? It’s pretty obvious. Ok I’ll tell you: Fish Tacos, of course! Since I had leftover mango salsa, a majority of the prep work was already done! All’s I had to do was to cook up the fish. 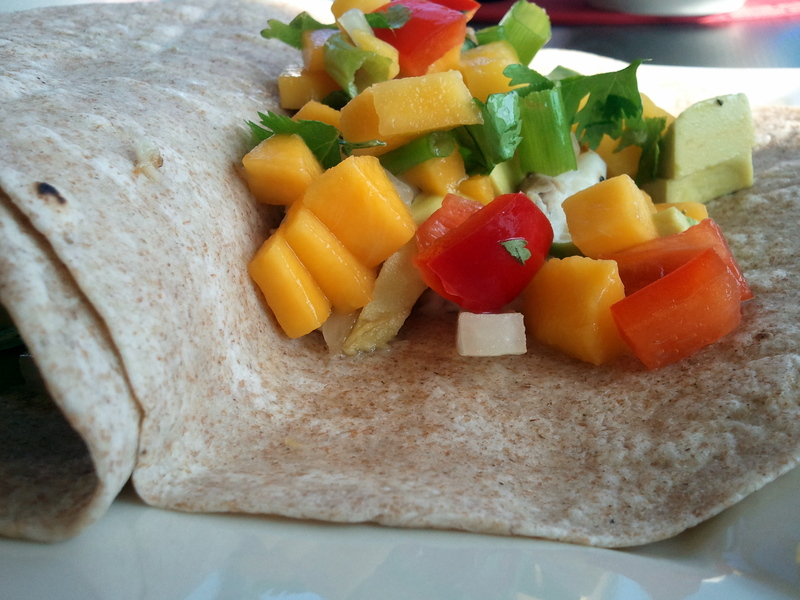 If you don’t have leftover mango salsa and/or don’t know the recipe, I linked to it below. 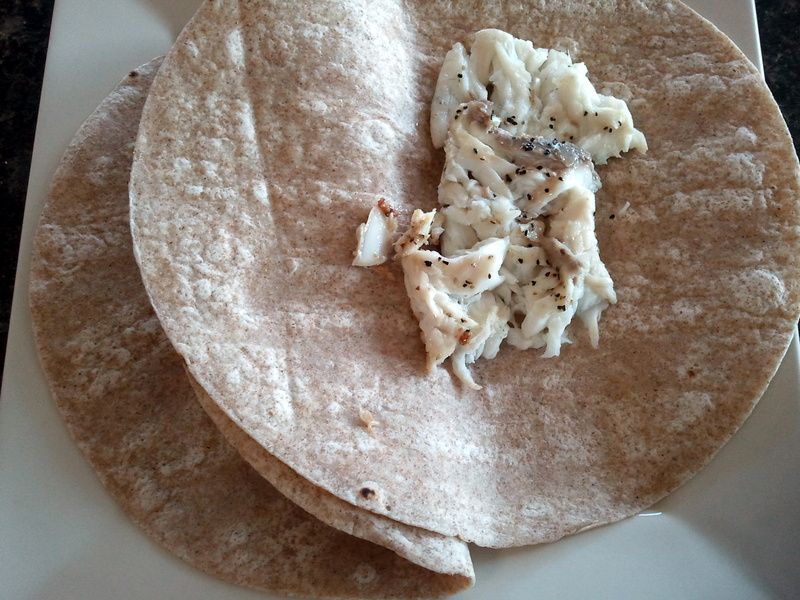 1- in order to make 2 bigger tacos per person, I bought 2 smallish tilapia fillets (.45 lbs). 1- Lightly season the fillets with salt and pepper. 2- Spray a non stick skillet with cooking spray and heat to medium. 3- Add the fish and cook for about 6 minutes. 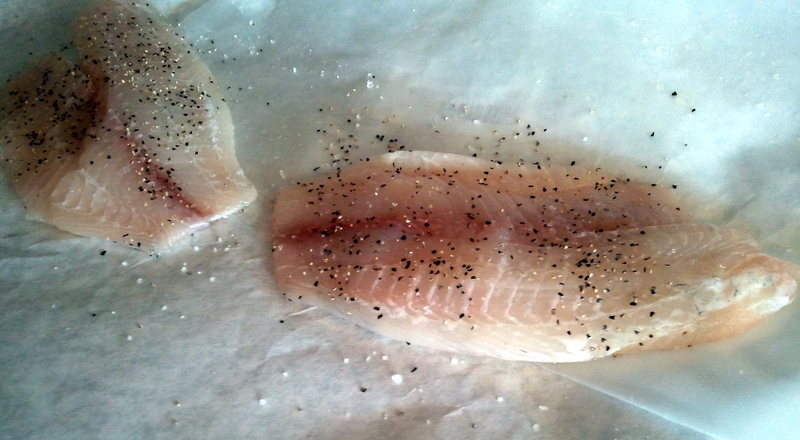 The fish should flake when done. 4- Cut or flake the fish into pieces and put on the taco shells. 5- Add the mango salsa and avocado, if desired. 6- Enjoy with a small salad, if desired. Magic Hat IPA. Quite good, for an IPA. Strong aroma and bitter on the palate.